Las Vegas NV | Clarksville Sports Network - Clarksville Tennessee's most trusted source for sports, including Austin Peay State University. 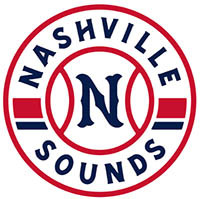 Las Vegas, NV – The Nashville Sounds, in conjunction with the Texas Rangers, announced today at the Baseball Winter Meetings in Las Vegas that the two teams will play a spring training exhibition game at First Tennessee Park on Sunday, March 24th at 1:05pm. 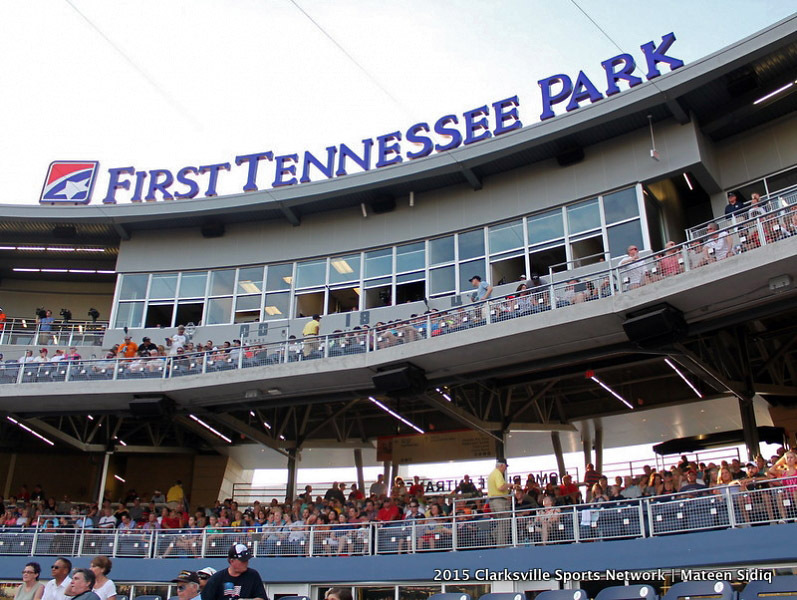 First Major League Baseball Exhibition Game to be Played in Nashville Since 1999. 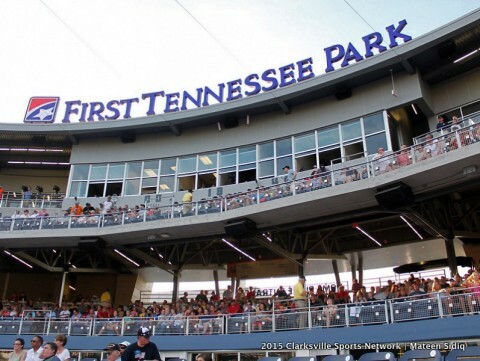 Las Vegas, NV – The Nashville Sounds were done in by a five-run first inning and failed to capitalize on chances late as they fell to the Las Vegas 51s 8-5 Thursday night at Cashman Field. The 51s took the three-game series two games to one. 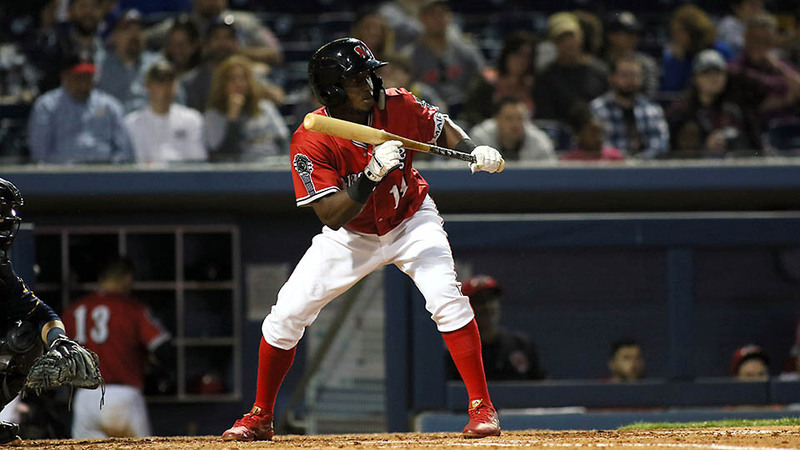 The Sounds found themselves in a deep hole after just one inning as the 51s sent all nine batters to the plate and scored five runs in the opening frame. 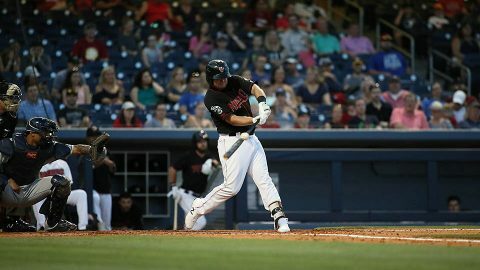 Peter Alonso drove in a pair with a base hit, Dominic Smith doubled the Las Vegas lead with a two-run blast, and Patrick Kivlehan scored on an error by third baseman Sheldon Neuse. Las Vegas, NV – The Las Vegas 51s came from behind to defeat the Nashville Sounds 6-3 in 10 innings Wednesday night at Cashman Field. Zach Borenstein’s walk-off three-run home run in the 10th inning evened the three-game series. 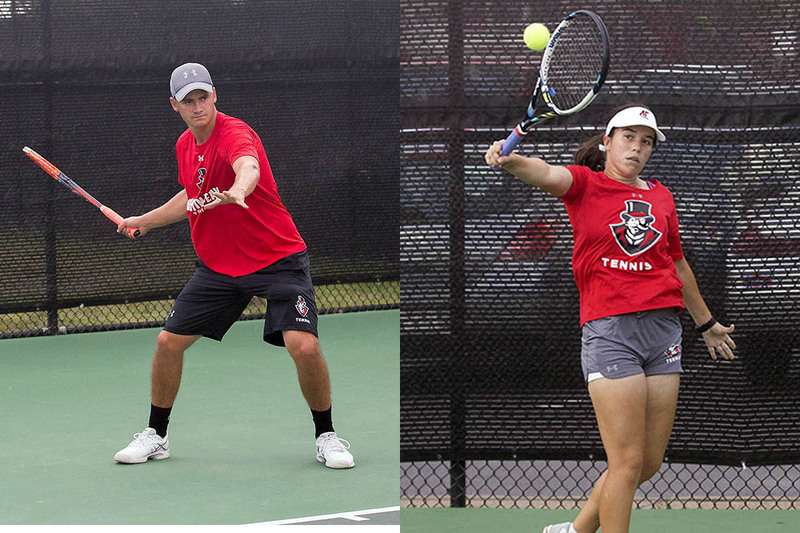 Two rarities occurred Wednesday night in Sin City. The game saw a pitcher’s duel at hitter-friendly Cashman Field and featured a 19-minute rain delay in the middle of the second inning. 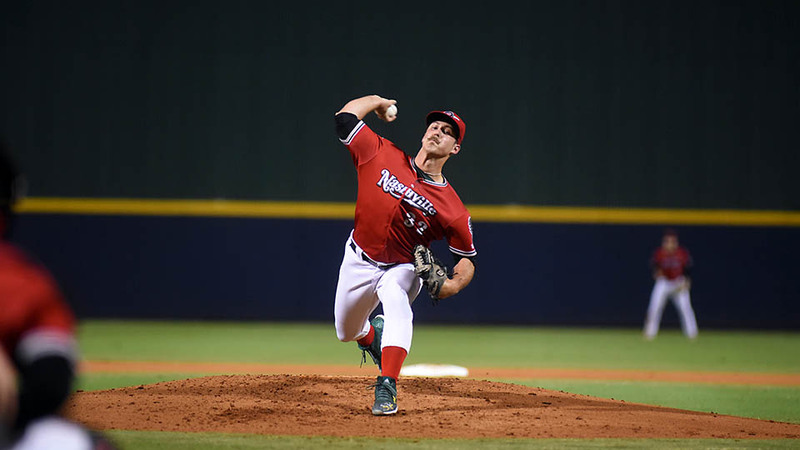 Nashville’s Daniel Mengden went seven innings and allowed just two runs, one earned on three hits while striking out four. It was the second night in a row the Sounds starting pitcher lasted seven innings. Mengden’s counterpart, Chris Flexen also yielded just a pair of runs in seven innings of work. Clarksville, TN – The Nashville Predators finally broke through against the Las Vegas Knights behind Juuse Saros’ shutout performance, 1-0. 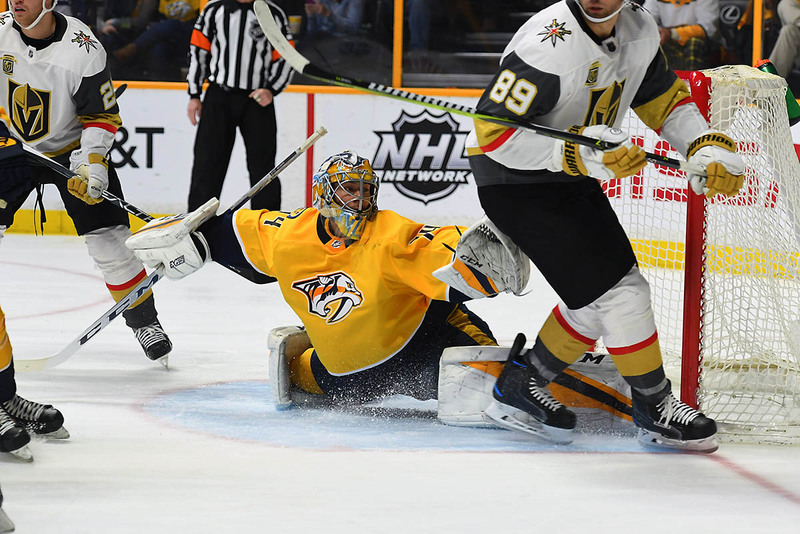 Nashville had lost to the Knights in their previous two meetings, but Saros stepped up and closed the door, stopping 43 shots. This was his third shutout of the season. 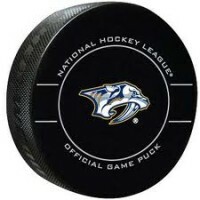 Nashville was returning from their bye week, and while they showed some signs of “rust,” Saros was fresh and ready, having played three games with Milwaukee last week. Head coach Peter Laviolette’s decision to give starting goaltender Pekka Rinne extra rest, paid off big time for the Predators. 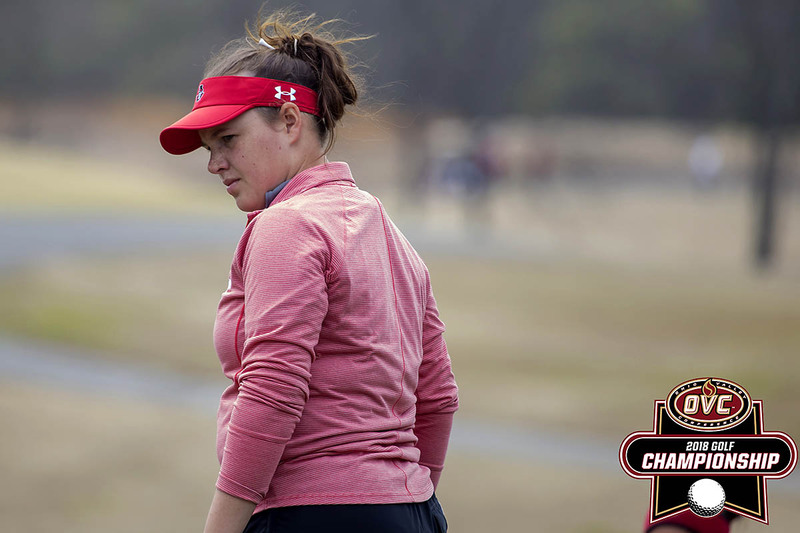 Clarksville, TN – Austin Peay State University women’s golf caps its fall slate with a two-day trip down I-24 to McCabe Golf Course, site of the Town and Country Invitational, hosted by Tennessee State. 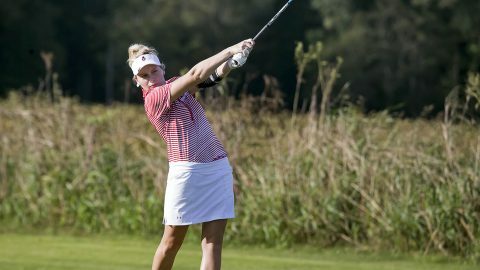 The two-day event on the par-72, 5,836-yard course will feature 18 holes each day. Knoxville, TN – The Tennessee basketball program kicks off a stretch of four games in eight days when it travels to face No. 7 North Carolina on Sunday. Tipoff is set for 4:00pm CT on ESPN. Tennessee (4-3) is riding a three-game winning streak heading into its first true road contest of the season. Most recently, the Vols rode a hot shooting night to a 90-50 victory over Presbyterian on Tuesday, tying the school record with 16 made 3-pointers in the game. Redshirt freshman Lamonte Turner converted 7-of-11 from beyond the arc en route to a season-best 24 points while true freshman Jordan Bowden added five treys and 21 points. New York, NY – Former Austin Peay State University standout Chris Horton was picked by the Grand Rapids Drive with the fifth overall pick in the first round of the NBA Development League Draft, Sunday. 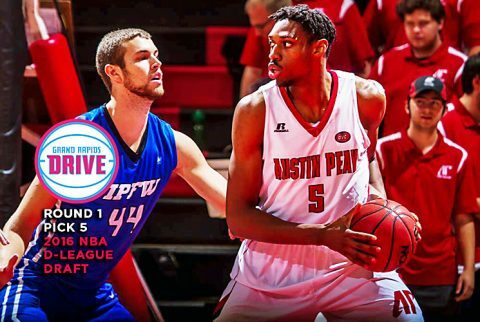 Horton, the ninth player in Division I history with 1,700 points, 1,200 rebounds and 300 blocked shots, put a stamp on his APSU career in a big way this spring.